During the negotiations for WTO Agreement on Agriculture in 2001, India raised concerns over food security and flexibility that developing nations must have when it comes to providing subsidies to key farm inputs. Seventeen years have passed since then and countries like India are still waiting for a permanent solution on food security and public stock holding to arrive at the WTO. It is a matter of setting fundamental values of pro-people governance in a civilised society and giving supremacy to human rights values. The global corporations believe that trade is the key to control resources and the capital of resources is the key to control politics. Thus, the need for such a forum of trade was felt where the governments of all the countries could be brought together and such mechanisms could be created which could facilitate easy entry of powerful capitalist groups into any country, prevent any significant control on their activities, and keep the duties and taxes on these mega corporations low so that they are able to accumulate profit without any restraint. First, according to the influential developed countries, the fixation of minimum support prices for agricultural products by the government puts a control on the prices of these products which, in turn, limits the profits of the big corporate houses. Second, the government of India does not only fix a minimum support price (which is anyway quite low and not profitable for the farmers) but also buys wheat, rice, sugarcane and now even pulses from the farmers. This protects the farmers from clutches of such corporations and global traders. Third, the government not only buys agricultural products and food grains but also provides it to two-third of the population—840 million people on subsidised rates through public distribution system. Due to this, the big corporations are deprived of potential customers and at the same time, poor people are also safeguarded against exploitative prices. This also ensures food security in those states where food grains are not produced in sufficient quantity. It is to be mentioned here that Indian Parliament passed National Food Security Act on September 10, 2013 with an objective of providing food and nutritional security by ensuring access to adequate quantity of quality food at affordable prices. The Act provides for coverage of up to 75 per cent of the rural population and up to 50 per cent of the urban population for receiving subsidised food grains under Targeted Public Distribution System (TPDS), thus covering about two-thirds of the population. The Act also has a special focus on nutritional support to women and children. Besides meals to pregnant women and lactating mothers during pregnancy and six months after the child birth, such women will also be entitled to receive maternity benefit of not less than Rs 6,000. Children up to 14 years of age will be entitled to nutritious meals as per the prescribed nutritional standards. Fourth, due to this policy, the government exercises control over agriculture which, in turn, prevents big corporations from assuming central role in this regard. There is ongoing discussion in WTO that such ‘bad’ subsidies (which are termed as ‘market distorting subsidy’) should be minimised because they affect market operations that are geared towards profit of huge monopolistic corporations. A provision has been made that subsidies provided by the government cannot exceed 10 per cent of gross agricultural production. There are talks aout taking actions, including trade sanctions, against countries where subsidies exceed this level. On the one hand, India is still facing a huge burden of chronic hunger and childhood malnutrition: around 195 million people are living with daily hunger, 38.4 per cent children are stunted, 58.4 per cent children and 53 per cent women in the reproductive age group are anaemic. On the other hand, 333,000 farmers in India have committed suicide since WTO was formed, as they are not protected in the local and global market. They were affected by extreme weather conditions, non-remunerative prices and adverse effects of Green Revolution. In this context, WTO is debating the issue of Green Box subsidies (subsidy must not distort trade, or at most cause minimal distortion), Blue Box (exemption from the general rule that all subsidies linked to production must be reduced or kept within defined minimal levels) and Amber Box (all domestic support measures considered to distort production and trade). The total value of these measures must be reduced subsidies. 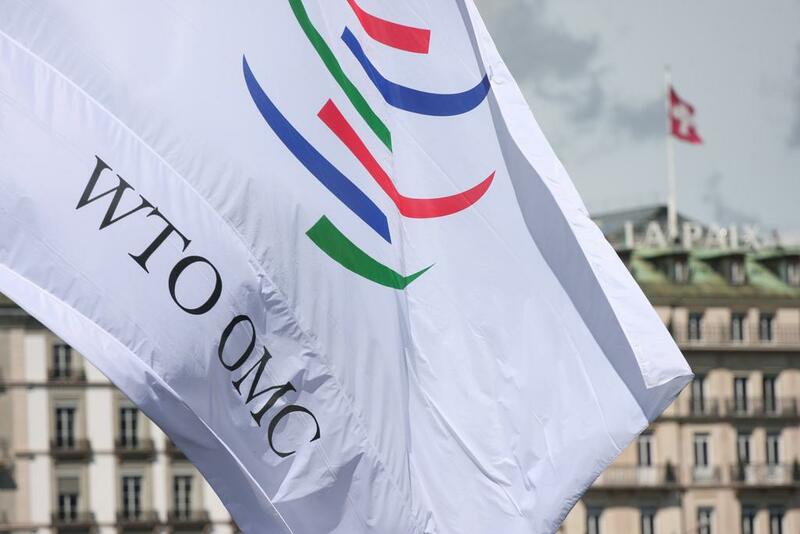 It is to be understood that the rules of WTO were not geared to help agrarian economies, farmers and consumers. For example, in the present debate of reduction in subsidies, total US domestic support as per the WTO notifications, has increased from US$69.9 billion in 1995 to $132.5 billion in 2014. The US mentions that 94 per cent of its total domestic support falls in Green Box, whereas India and China has demanded removal of farm subsidies by developed countries. They propose elimination of 'Amber Box' subsidies. If a consensus emerges against allegedly ‘trade-distorting’ subsidies at the WTO, then India will be forced to reduce the quantity of agricultural products it buys from the farmers. Also, the government won’t be in a position to increase the minimum support prices in favour of farmers because it would increase the overall level of subsidies. In fact, the government will be forced to increase the prices of cheap food grains distributed under National Food Security Act. Actually, the developed countries want India to stop buying food grains from the farmers and also to dismantle the public distribution system. Instead, the government should transfer a certain amount as ‘direct cash transfer’ to the beneficiaries of National Food Security Act. People can use the cash to buy food grains or other necessities from the open markets. This will have adverse impact on women, children and the elderly. In addition, this system will eliminate government control on prices of food grains. In India, the move towards dismantling the public distribution system to reduce the subsidies provided to the farmers under food security act has already begun. According to the information provided by the Ministry of Consumer Affairs, Food and Public Distribution in Lok Sabha (Lower House of the Parliament of India) on July 25, 2017, all the ration shops in Chandigarh and Puducherry have been closed. These two union territories were used to be allocated 91,584 tonnes of food grains for distribution among 857,000 consumers. This has been stopped from the year 2017-18 and replaced by direct cash transfers so that people use the ‘cash’ to buy goods of their choice from open markets. If the central government stops buying food grains from the farmers for public storage and also stops distributing it through the public distribution system then the food security of the country will come entirely under clutches of corporate interests. Although no agreement on public storage and agricultural subsidies has been made, yet India has already started reducing subsidies. On July 13, 2017, while submitting its subsidy account in WTO, India announced with pleasure that it has not crossed the subsidy limit on agriculture. The subsidy on fertiliser, irrigation and electricity, which was $29.1 billion in 2011, has been reduced to $22.8 billion in 2014. In addition to this, the non-market distorting subsidies (referred as ‘green box’ subsidies in WTO) have also been reduced drastically from $24.5 billion in 2011 to $18.3 billion in 2014. However, the subsidy on public storage for food security has been increased in these three years from $13.8 billion to $14.4 billion. In 2014, India was providing agricultural subsidy to the tune of $41.1 billion and the government was pleased to inform the WTO that our total agricultural subsidy is less than 10 per cent of the market value of total agricultural production. The subsidy on fertilisers was reduced from Rs 75,067 crore in 2014-15 to Rs 70,100 crore in 2016-17. According to the Ministry of Consumer Affairs, Food and Public Distribution System, the food subsidy bill was Rs 1.13 lakh crore in 2014-15. However, the Food Security Act was not implemented across the country in that year. When the Act was extended to cover the entire country in 2015-16, the subsidy increased to Rs 1.35 lakh crore. However, this was reduced significantly in 2016-17, bringing it down to Rs 1.05 lakh crore. This happened because the government decided to convert Rs 45,000-crore subsidy provided to Indian Food Corporation into debt. Thus, on March 31, 2017, Rs 25,000 crore was provided to the corporation was changed into a debt from National Small Savings Fund. Thus, food subsidy has been changed into food debt. The differences in prices in domestic and international markets will exist only till the agricultural subsidies continue. Once this subsidy to farmers and to common people for food security is replaced under WTO with subsidy to the open market through cash transfers, then prices will shoot up in India because the markets will dictate the prices of food grains, pulses, oil seeds and other agricultural products, in the same way as the prices of petrol and diesel is dictated by the market and not the government. Just consider the fact that there are countries which lack necessary skills, energy, irrigation facilities, information technology skills and economic capital and they want to practice traditional agriculture. How will these countries compete with the US, Europe or China where the governments have been giving huge subsidies to provide these facilities? The wholesale price of gram in India in the year 2016 (second quarter) was Rs 5,599 per quintal, while the international price was Rs 5,185. The price of maize in Indian market was Rs 1,504, while the international price was Rs 1,145. Domestic price of lentil was Rs 6,690 per quintal while its price was Rs 6,030 in international market. Price of mustard oil in India was Rs 8,340, while in international market it was Rs 5,391. Domestic price of groundnut was Rs 4,176, while in international market it was Rs 2,789. Domestic price of soybean was Rs 6,924, while in international market it was Rs 5,438. This difference of prices in domestic and international markets is due to the impact of subsidy and protection provided by the government on the cost of production. However, agricultural subsidy in India is far less compared to the developed countries. For example, 31,80,000 people were engaged in agriculture in the US in 2015. The US government provided them a subsidy of $25000 million. This amounts to Rs .51 million ($7,860) on an average to each of them. On the contrary, in 2014, Indian government provided on average a subsidy of Rs 27,100 ($417) to 9.05 crore farmers. This included subsidy for research, pest control, training, consultancy, marketing, infrastructure, government purchases, irrigation, fertilisers and electricity. If the subsidy given on research, marketing and infrastructure is also added to this, then the farmers were provided an assistance of $456 by the government. Compared to this, Britain provides subsidy of Rs 2.37 million (£28,300), Japan Rs .91 million ($14,136) and New Zealand Rs 0.17 million ($2,623) to its farmers. Consider the fact that in 2015 a British farmer earned £2,100 and £28,300 was added to this through subsidies. Between year 2011-12 and 2013-14, India reduced subsidy on agriculture and food security by Rs 18,918 crore. In this scenario, how will the Indian farmer compete in international market without any subsidy? Ramesh Chand, a member of NITI Aayog has prepared a paper ‘Doubling Farmer’s Income (Rationale, Strategy, Prospects and Action Plan)’. In this paper he writes that the number of cultivators in India has declined from 16.61 crore to 14.62 crore between 2004-05 and 2011-12. This implies a reduction of 6,710 cultivators every day. If this continues, then between year 2015-16 and 2022-23 the number of cultivators in the country will decrease by another 1.96 crore (13.4 per cent). The government believes that this will increase farm income and consequently lead to reduction in agricultural subsidy. India has taken a call and says “a permanent solution on public stock holding for food security purposes is a priority”. A decision on this issue will signal WTO’s commitment to the UN Sustainable Development Goals and the fight against hunger and malnourishment across the globe. The permanent solution has to be an improvement over the perpetual peace clause, which was adopted in Bali MC-9 to continue with the existing level of subsidies till the permanent solution is found. Under current circumstances, India badly needs to increase its domestic support basket and increase Minimum Support Price substantially and include pulses and edible oil in National Food Security Act. It needs to provide incentives to promote production of millets, pulses and edible oil to ensure livelihood and food-nutrition security. In such a scenario, if any proposal something similar to “Peace Clause” is accepted, situation will become worse. Ideally, agrarian economies should make a call to take food security out of the WTO negotiations. A brillint write-up on the issue! Loved it and this helped me understand the issue thoroughly.